You may have trouble finding just the right words to express what your special someone means to you. 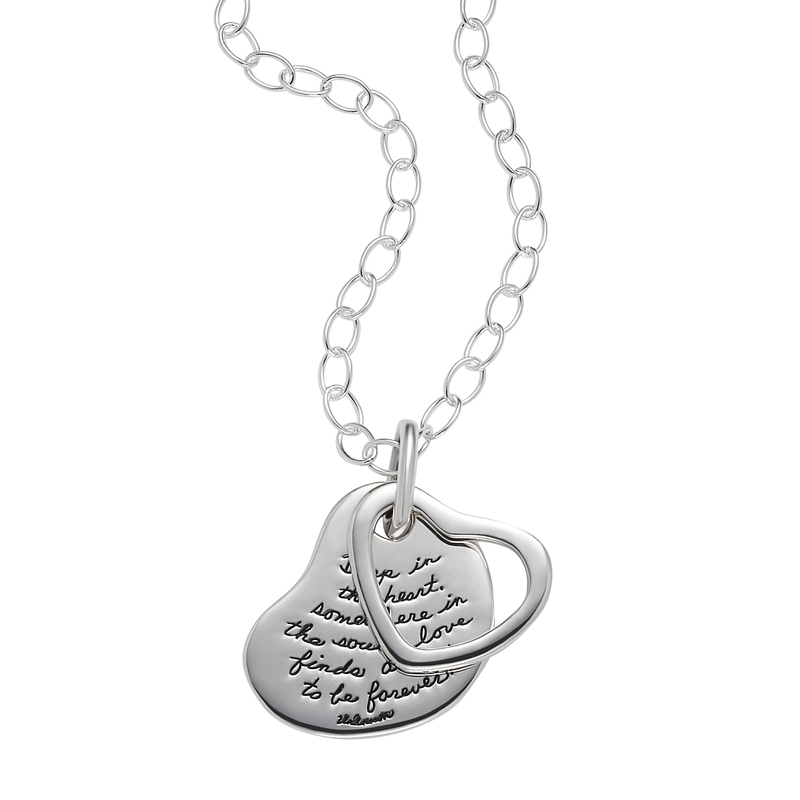 Let the striking engraved handwriting on this sterling silver necklace do the talking. A delicate heart charm kisses the engraved token to show your ever-present love. It’s sure to become a treasured keepsake.